This Try Dive in the Andamans is a great scuba adventure for a first-timer. You'll experience a guided scuba dive in the blue waters of the Andamans, and do not need any prior experience or swimming skills. This Try Dive package in the Andamans includes stops at North Bay and Ross Island, and a shore dive with an experienced instructor at North Bay. Your Try Dive is the highlight, but Ross Island is magical too. You'll be trained in the basic skills for about 15 minutes, and then will walk into the water with the instructor for your Try Dive. You'll spend 20-25 mins discovering the stunning underwater world. 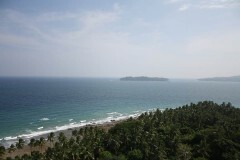 After your dive, you'll be taken to Ross Island to explore the beach, and then will return to Port Blair. NOTE: Photos and videos of your Try Dive are included in this package. Do carry a pen drive so you can take them home with you. North Bay is one of the most popular locations for visitors to Port Blair, and has gorgeous coral reefs and white beaches to explore. You'll be able to see an array of small fish and vivid corals at shallow depths, which makes it a great location for Try Dives in the Andamans. 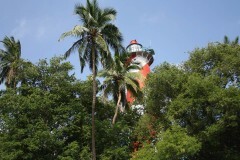 Ross Island was once the headquarters of the British, before they moved to Port Blair. You'll be able to see the ruins of some of their buildings here, now taken over by banyan trees and wild shrubs. • Book your first scuba experience in the blue waters of the Andamans. • Visit North Bay and Ross Island in one day trip. • Enjoy an easy Try Scuba experience without any prior experience needed. 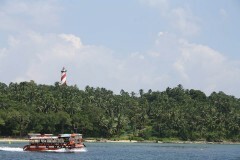 • Take a ferry ride from Port Blair to North Bay. • Try scuba diving and go as deep as 40 feet under the blue waters at North Bay. 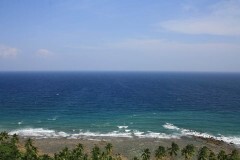 • Spot an array of colourful fish and coral. • Take home cool underwater photographs. 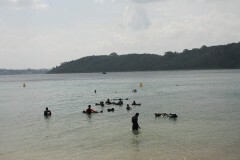 Participants must follow all the rules and instructions given by the dive instructor during the Try Dive in the Andamans. Touching, breaking or collecting coral pieces, shells, or seaweed is strictly prohibited. 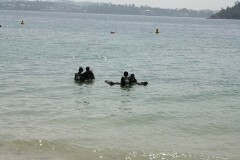 All participants are required to stay close to the instructor during the Try Dive in the Andamans. Do not try to dive alone or attempt to swim away from your group on your own. Consumption of alcohol or any other intoxicants and drugs before the Try Dive in North Bay is strictly prohibited. For any cancellations made 8 days or more before the departure of the try dive in Andamans: 90% of the trip cost will be refunded after deducting any transaction charges. 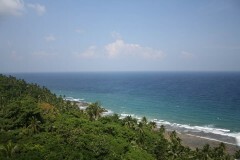 For any cancellations made 0-7 days before the departure of the try dive in Andamans: No refund. If after the training session the participant is not comfortable in the water, the total trip cost will be refunded after deducting INR 500. You will be required to fill a medical form for your Try Dive in the Andamans. If you answer Yes to any of the questions, you will have to bring a signed medical certificate from a physician, without which you will not be allowed to try scuba diving in the Andamans. There are no meals included in this package. However, there are some eateries at Ross Island where you can order and pay for your own meals. Meet the operator at Aberdeen Jetty by 08:30 hrs. 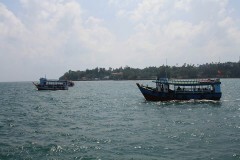 You'll board a ferry to North Bay which is a popular site for Try Diving in Andamans. You'll take part in a 15-minute training session, and then a 25-minute Try Dive. After that, you'll be taken by ferry to Ross Island, where you can explore the beach or eat a meal. You'll be dropped off at Port Blair after that. Don't forget to carry a pen drive to collect your photos and videos. Your trip ends here. 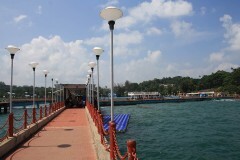 Aberdeen Jetty is close to the Rajiv Gandhi Water Sports Complex in Port Blair. You can get here by local transport. 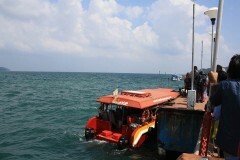 The operator will arrange your transport to the start point of your Try Scuba dive in North Bay.